1960’s style BATMAN is back thanks to this new release by Warner Bros. Animation and DC Entertainment. 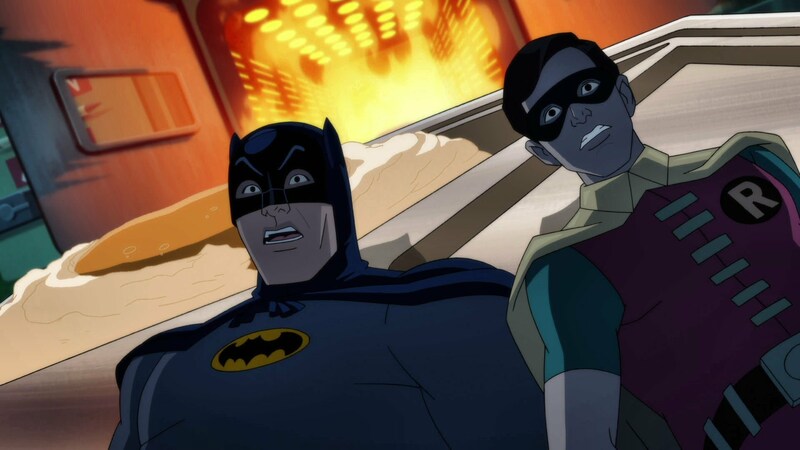 Batman fans can journey into the iconic past with the full-length animated Batman feature film – Batman: Return of the Caped Crusaders. The film features the vocal performances of Adam West (Batman), Burt Ward (Robin) and Julie Newmar (Catwoman). Batman: Return of the Caped Crusaders will be available November 1, 2016 on Blu-ray™ Combo Pack and DVD. Batman: Return of the Caped Crusaders will be available to own on Digital HD starting October 11, 2016. It’s back to the 1960s as Batman and Robin spring into action when Gotham City is threatened by a quartet of Batman’s most fiendish foes – Penguin, The Joker, Riddler and Catwoman. The four Super-Villains have combined their wicked talents to hatch a plot so nefarious that the Dynamic Duo will need to go to outer space (and back) to foil their arch enemies and restore order in Gotham City. It’s a truly fantastic adventure that will pit good against evil, good against good, evil against evil … and feature two words that exponentially raise the stakes for both sides: Replicator Ray. Holy Multiplication Tables! Next PostNext Lego Red Dwarf, An Idea You Should Back.